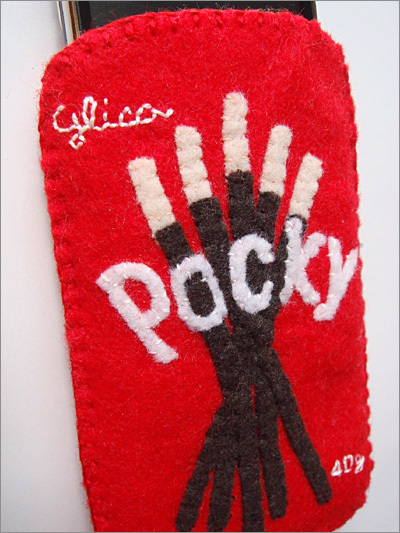 Hey You Got iPhone in My Pocky! Like chocolate and peanut butter — the two tastes of iPhones and Pocky go great together! 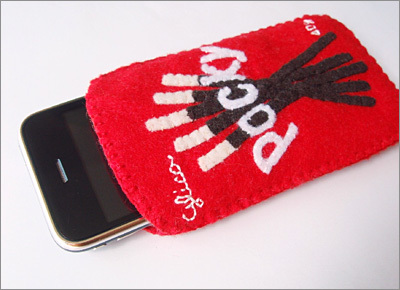 This ever so cute Pocky iPhone Cozy was designed by Yummy Pocket of Montreal, Canada.